While you’re busy worshiping in Spirit & Truth, your kids (2mo-6th grade) will be having the time of their life in their own dedicated and secure cKids theaters. We have a safe and secure place for your babies (2 mo-2 yrs) where they’ll be cared for, cuddled, and comforted by loving volunteers so you can enjoy the worship experience worry free. 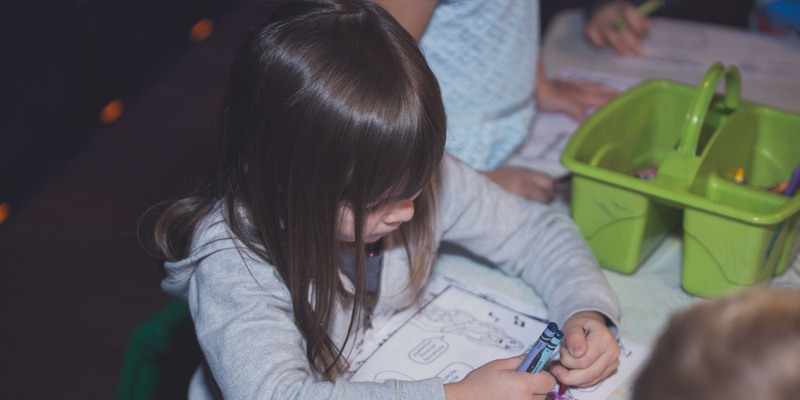 Kids (2 yrs – Kindergarten) have their own worship experience designed to keep them engaged with visual learning, exciting worship music, and play. Parents can keep the teaching going throughout the week by downloading and following along with the free BibleApp for Kids. Your kids (1st – 6th grade) will love their time of energetic worship, age specific and engaging teaching, and small groups where they’ll be able to discuss their thoughts and questions. We even build our own parallel curriculum, so parents can keep the Biblical conversations going with their kids all week long. Your child’s safety is important to us. On your first visit, we’ll ask you to give us some information about your child/children for our check in system, give a tour of the kids spaces and introduce you to their teachers. Have something you’re curious about? We’d love to speak to you at one of our weekend experiences, or you can always email us!